The term Bridge Loan is used to refer to a short term loan which is used to fund an real estate investment or other purchase until the moment that permanent funds become available or an existing obligation is removed. Getting a bridge loan provides immediate cash flow that is essential to allow the borrower to meet the current obligations. Those loans are usually given for a term that spans for up to one year and are characterized by relatively high interest rates. They are also usually backed by a form of collateral, such as inventory or real estate. Several other names that this type of loan is also known by include Swing Loan and Interim or Gap Financing. Bridge loans are popular enough and are used by both companies and individuals. They are highly customizeable for a multitude of situations, uses and conditions. Here is an example. Let’s take look at a company that is doing a round of equity financing. The expectation is that the financing will be closed in six months’ time. Meanwhile, the working capital needed for investment can be secured via a bridge loan. In cases of individual borrowers, the bridge loan is a very common solution used in the real estate market. The most common occurrence when it is needed, is when there is a time lag between the sale of one real estate property and the purchase of the next one. In this case, the seller-buyer can use the bridge loan to close the purchase deal before the funds from the sale are released. Another use of the bridge loan is when you need short term funding in pressing circumstances. Unexpected house repairs, an unplanned-for vehicle purchase and other similar situations may be solved by this one year loan solution. Essentially, the bridge loan can make a difficult purchase or situation – possible and manageable. The growing popularity of the bridge loan is, paradoxically, the result of banks becoming increasingly reluctant to approve short term loans. This led to an influx of short term lenders into the market. This of course means that the lenders are exposing themselves to risks the banks are unwilling to take, and so the interest rates are usually higher, to compensate for the liability. They are not astronomical, however. What you are facing is approximately 1.5% a month or 18% a year, the same rate that people pay on most credit cards. The main users of the bridge loan are landlords and amateur property developers. This includes those who are purchasing real estate at auction and need the mortgage funds to be made available very quickly. Sometimes bridge loans are offered to wealthy (or asset rich) borrowers who seek quick and straightforward lending opportunities for their residential property purchases. 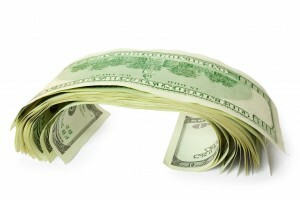 Under What Circumstances Should You Use a Bridge Loan? Bridge loans can be used, as we have just shown, for a variety of reasons and purposes, including but not limited to, property investment, buy to lease purchases or land development and construction. Banks are taking longer to process home loan and mortgages for larger sums, and are known to refuse lending money at certain conditions altogether.